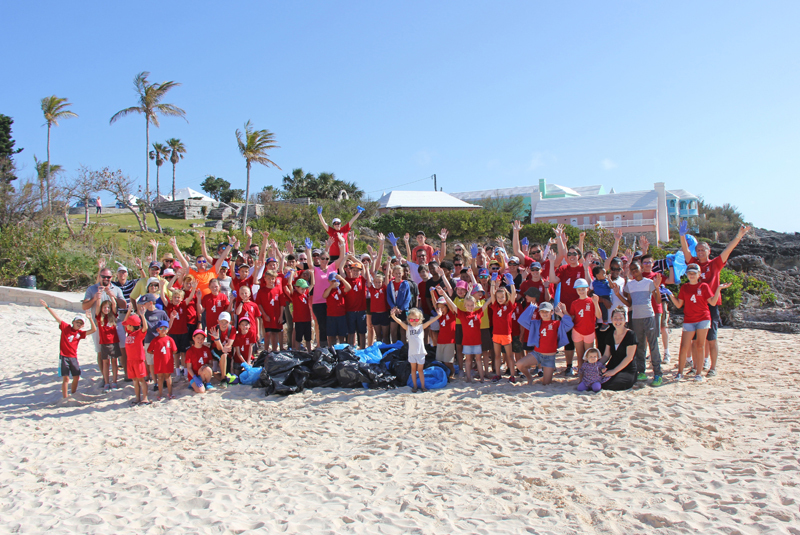 People on the island recently took part in Earth Day celebrations by performing Keep Bermuda Beautiful [KBB] clean ups in several locations, with both children and adults taking part. A spokesperson said, “Saltus Grammar School formed the largest group with 95 students, staff and parents cleaning up John Smiths Bay. 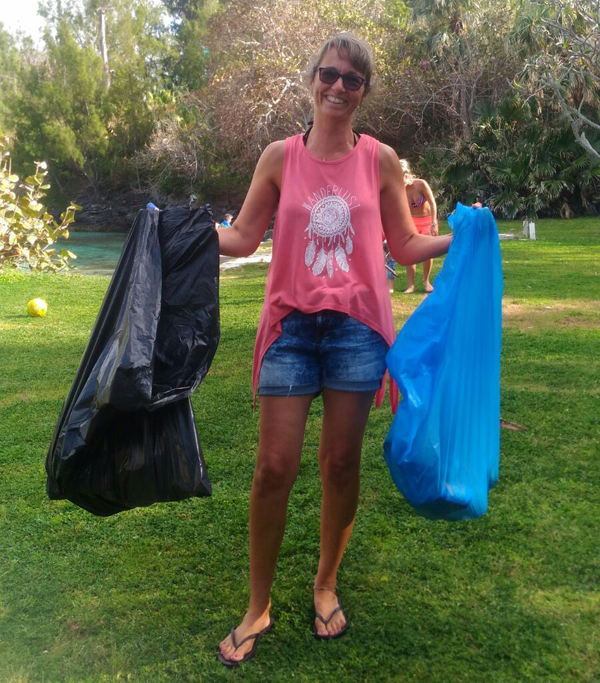 P4 Teacher Erika Powell organizes cleanups twice a year as part of their commitment to adopt John Smiths Bay as part of KBB’s Adopt-A-Spot Programme. 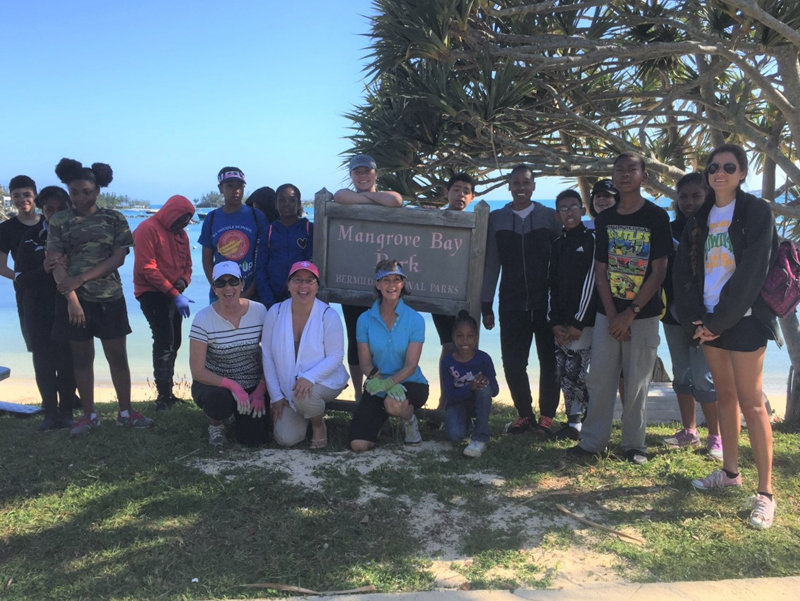 “There was a team of 35 people at Mangrove Bay Beach in Somerset who cleaned up more than 1,500 pounds of trash, recycling and bulky items which included more than 100 pounds of broken glass picked up along the sand and shallow waters. 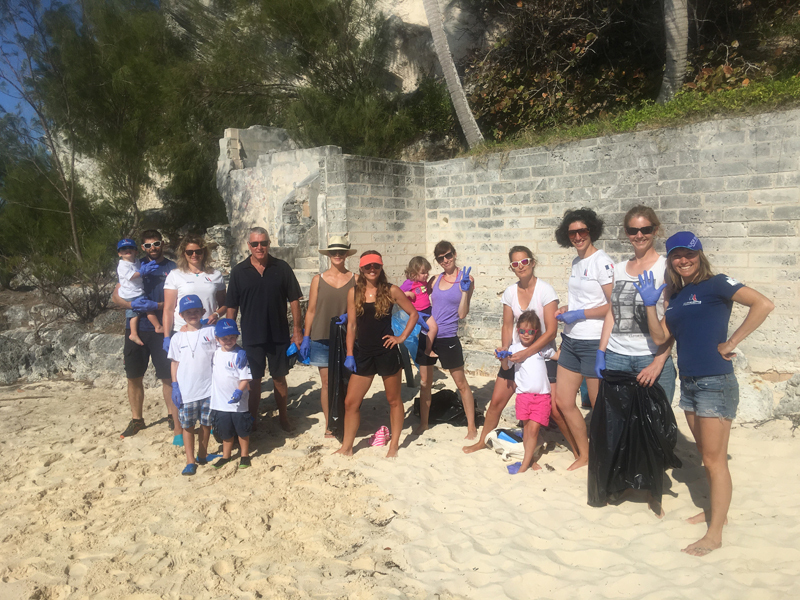 “Members of the Groupama Team France organized a group to clean up Southlands Beach near where several America’ Cup families are staying at the Grand Atlantic in Warwick. “This year’s Earth Day event was originally planned as part of KBB’s Annual Island-wide Spring Clean, however KBB’s focus shifted from April to May. The decision to move the Spring Clean to May was based on cleaning up around the Island just before the start of America’s Cup when all eyes will be on Bermuda. 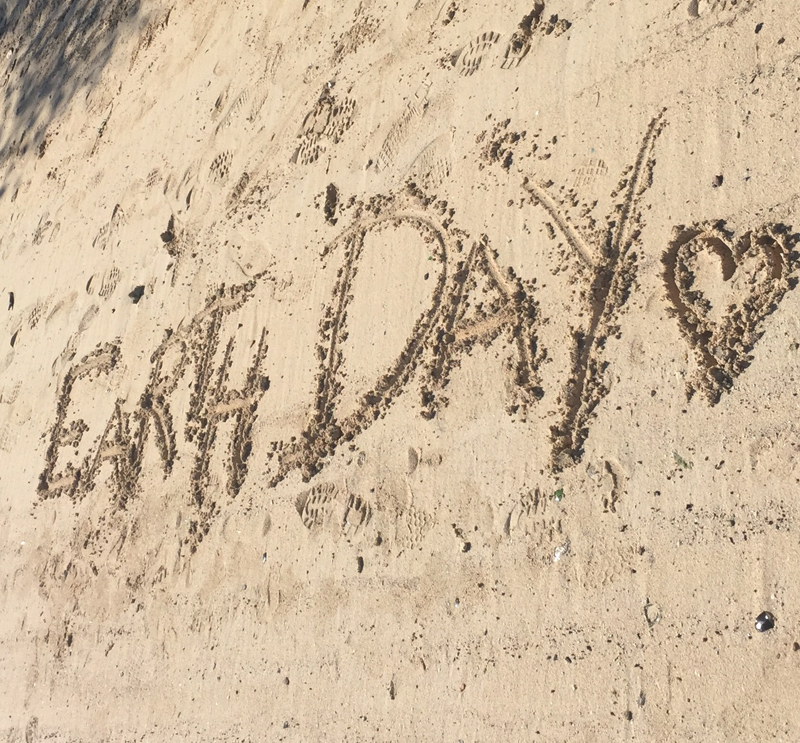 “Earth Day started in 1970 on April 22, and will celebrate its 50th anniversary in 2020. EarthDay.org has created a special video in celebration of that milestone. “Both the America’s Cup Endeavour teams joined beach clean ups. Endeavour West tackled Parson’s Bay in Dockyard, and Endeavour East did a thorough clean up at Builder’s Bay in St. George. “The America’s Cup Endeavour Programme provides middle school students with the opportunity to learn sailing and education about protecting the marine environment is included in the curriculum. “Not all groups went to a beach. 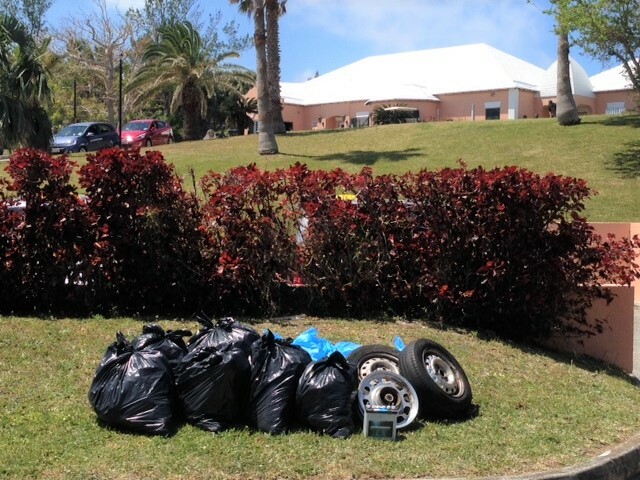 The Bermuda Golf Foundation under the direction of Jarryd Dill spent Earth Day cleaning up parts of Ocean View Golf Course and the Barkers Hill area in Devonshire. This group of young golfers have participated in KBB’s annual events for the past three years. KBB Executive Director, Anne Hyde, said, “Despite having to shift our annual Island-wide event from April to May to coincide with the timing of America’s Cup, I was pleased that many groups came out to help celebrate April 22 and Earth Day which fell conveniently on a Saturday this year.